Strip coils from large motors in minutes! Are you still using the hammer and chisel method to restore and rebuild motors? 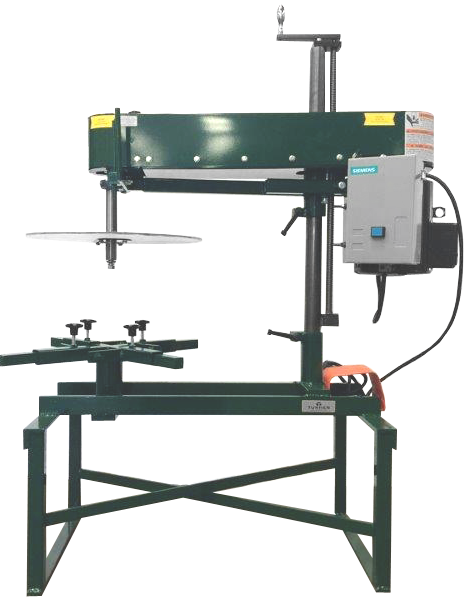 Dramatically reduce the time and effort you spend stripping motor coils with a Lancer Coil Cut Off Machine. Typically, investing in a coil cut off machine can be completely recovered in less than a year! The gear reduced drive raises and lowers the cutting arm smoothly and effortlessly. Eliminates time consuming hand cranking and operator fatigue. Reduces stator change over time and reduces labor costs with the flip of a switch. Increases motor size capability. The spinning motion increases mobility of motor and access to coils. Spindle Extension increases motor size capability by six inches.